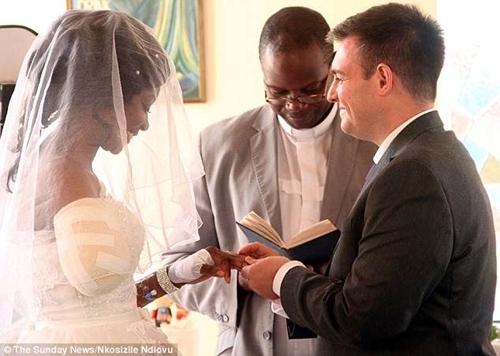 Against all odds, a young lady has married her fiance in a hospital chapel just days after she had her right arm bitten off by a crocodile as she canoes up the river. 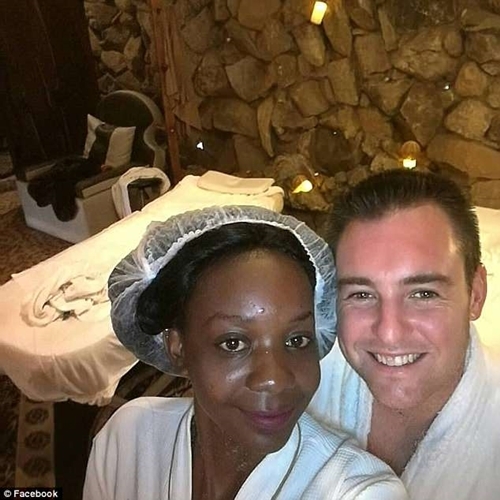 A 25-year-old former tennis player who had her arm bitten off by a crocodile while canoeing in the Zambezi river above the Victoria Falls in Zimbabwe with her British husband-to-be, just days before her wedding, has gotten married in hospital. 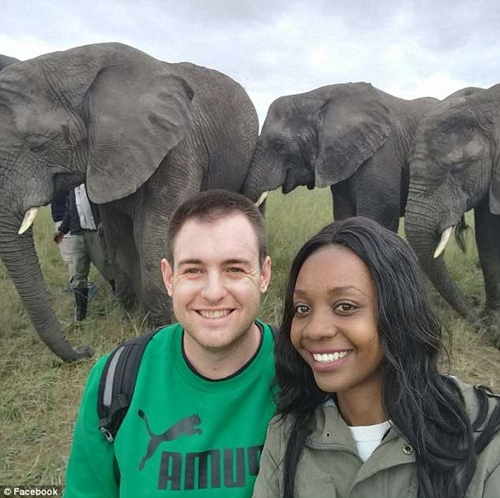 According to Dailymail UK, Jamie Fox watched on in horror as his fiancee identified as Zanele Ndlovu, had her right arm torn off and her left hand bitten by the crocodile. 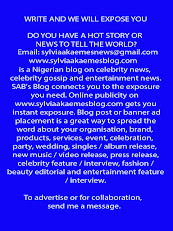 While speaking to a correspondent, a family friend described how the former top tennis player lost her arm to a large crocodile. 'They were in an inflatable boats, and the crocodile attacked their vessel and in the process deflated it, before attacking her. It was gathered that Mr Fox came to her rescue and applied a make-shift tourniquet, but she had lost so much blood it was feared that she may die from the wound. She was rushed to Mater Dei Hospital in Bulawayo, Zimbabwe, where surgeons managed to save her life, but she lost most of her arm. 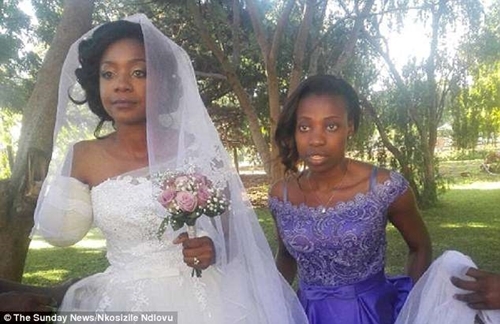 Despite her horrific injuries, Ms Ndlovu was determined not to miss her wedding day, and the couple ended up holding their ceremony in the hospital chapel. Pictures from the ceremony shows the bride in her white sleeveless wedding dress walking into church with her stump heavily bandaged and holding pink roses in her bandaged left hand. The now Mrs Fox is seen signing the register with her injured left hand, as the Minister and her husband looks on to huge applause from family and friends. A witness said: 'It is a quite remarkable love story and it really does show their love for each other. The crocodile attack made no difference. Their feelings and love for each other are even stronger than before if anything'. Mr Fox had earlier disclosed that he had managed to pull his fiancee back out of the water and applied a makeshift tourniquet, but she had lost so much blood it was feared that she may die from the wound. "I was shouting, trying to save her,” he said. “She was not complaining of pain when we managed to pull her out of the water, maybe because of the shock. We were hoping the doctors would save her arm but that was not to be."